Kubota UK and local dealer Clarkes of Cavan have joined forces to lend their support to Tegaasc Ballyhaise College – one of Ireland’s leading providers of educational courses in agriculture and forestry. The two companies are working in partnership to sponsor machinery that is being used around the 220 hectare estate, located 8km north of the county town of Cavan. 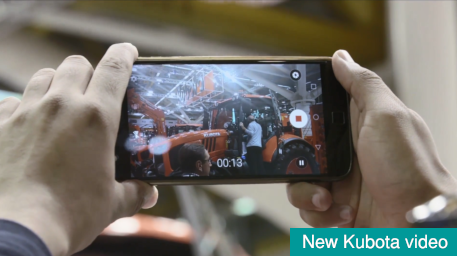 Kubota’s M110GX-II agricultural tractor is being used by the college for general farm work. The farm at Ballyhaise consists of a number of enterprises such as a 120 cow dairy herd, a 50 suckler cow herd, a 200 ewe sheep flock and 200 cattle of various breeds. The Kubota M110GX carries out slurry spreading, topping and mowing, along with a host of other jobs in the day-to-day running of the farm. Two rugged Kubota RTV utility vehicles are also making getting around the estate much more effective for farm duties, like transporting the maintenance team across the farm terrain and materials and kit for farm upkeep. In addition, Kubota’s market leading B3030 compact tractor is being used to keep three acres of college lawns in immaculate condition. Ballyhaise College is recognised as one of the leading agricultural and forestry colleges in Ireland, welcoming 350 new students each year and 1000 students in total. 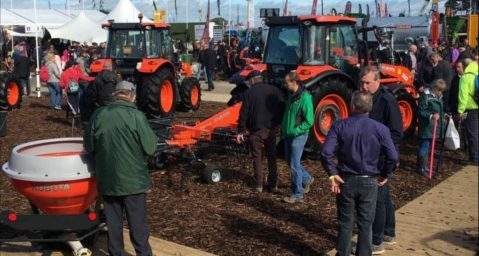 Kubota Agriculture is bringing its extensive portfolio of farm machinery products to Ireland for the first time, with the launch of its range of Kubota-branded agricultural implements. 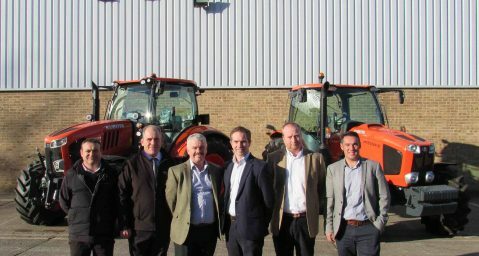 Lister Machinery is investing over £1.6m to open a new depot in Ashford.